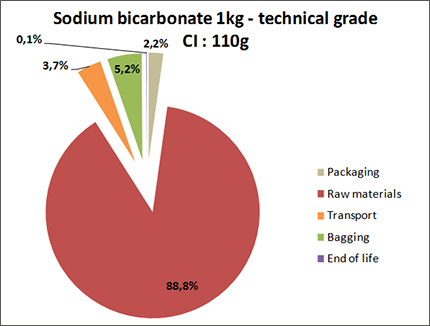 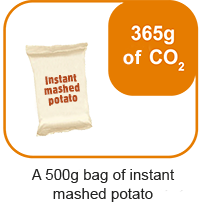 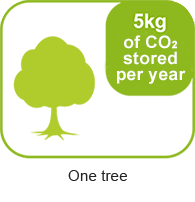 Carbon Index (CI) is expressed in number of grams of CO2 equivalent per 100g of product. 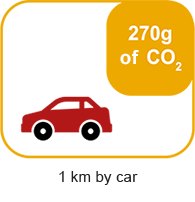 This calculation includes the method of product’s production, transport, storage and a part of Ecodis CO2 emissions. 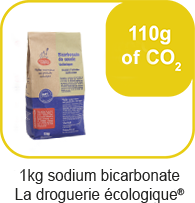 its carbon index is 110g and 88.8% of greenhouse gas emissions are due to the raw material making up this product and its mining from quarries. 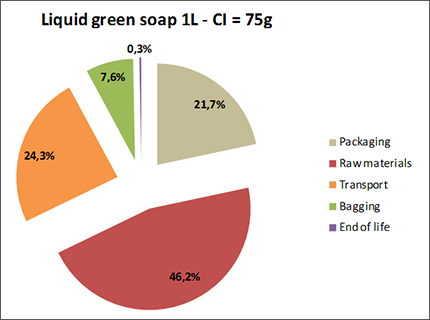 its carbon index is 75g and the major part of greenhouse gas emissions is due to the raw materials making up the soap, to its packaging (recyclable PET) and its transport.